There are dozens of Alaska cruises available from the large cruise lines, but you only view the scenery from afar. Alaska cruises on a small ship will take you into the heart of glacier country and eye to eye with a kodiak bear! This is something you'll never see from a large ocean cruiser. Other U.S. small ship cruises explore the Atlantic coast and the homes and gardens of the Antebellum South. The relaxed ambiance of small ship travel is the similar to that of European river cruises - you'll unpack once, and then sit back and watch the world go by as you travel from port to port. U.S. small ship cruises are focused on history and nature, and you can experience both more intimately than on many other tours. Some tours focus on food and wine, also! On Alaskan cruises, you can travel right into Glacier Bay - so close you could almost reach out and touch a glacier! Larger ships travel past the glaciers, but cannot get as close. On the southeast coast of the Atlantic, you can explore Charleston, Savannah, and the coastal islands in a smaller, more comfortable ship. The Pacific Northwest has the Columbia and Snake rivers, where you can follow the trail of Lewis and Clark. And, of course, Mississippi River cruises follow the "Big Muddy" from the midwest to New Orleans. Why just sail the perimiter of Alaska? Alaska cruises on a smaller ship can get much closer to the glaciers and the wildlife that you've come to Alaska to see. American Safari Cruises offers adventurous Alaska cruises aboard a luxury yacht! Explore history and nature in Alaska as you cruise the inside passage. Along the way, you'll see glaciers and snowy mountains, and may see bear, mountain goats, and whales. Land excursions include Glacier Bay National Park. This is a 8 day trip, starting and ending in Juneau. American Safari Cruises has several Alaska cruises to choose from, on intimate yachts with approximately 20 passengers - and they are the best cruises in the area! There's nothing like the Mississippi - the wide river known as "the Big Muddy" cuts right through the center of the U.S., from Minnesota to New Orleans. Sadly, the legendary Delta Queen riverboat no longer cruises the Mississippi(but there are attempt underway to resurrect the vessel). You can still take a Mississippi River cruise, from American Cruise LInes. American Cruise Lines offers up to TEN different cruises along the Mississippi! It's a great trip through America's heartland. American Cruise Lines Historic Antebellum South - Step back in time to the moss-draped oaks and elegant mansions of the Antebellum South, along the Atlantic coast of South Carolina and Georgia. 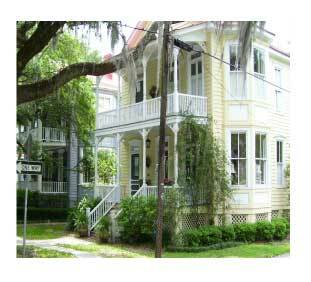 You'll visit Charleston, Beaufort and Savannah, as well as Hilton Head Island, Jekyll Island, Amelia Island and others. This is an 8 day trip, from Charleston, SC to Jacksonville, FL.